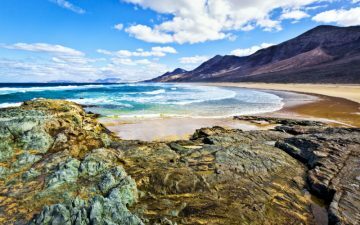 Famed for its large sand dunes, eye-catching lighthouse and annual Gay Pride Festival, Maspalomas is one of Gran Canaria’s leading holiday hotspots. Like neighbouring Playa Del Ingles, it’s popular with people who like to sunbathe during the day and then enjoy a few drinks in the evening. Its beach has a Blue Flag and covers a whopping six kilometres, while its streets are home to many cocktail bars. 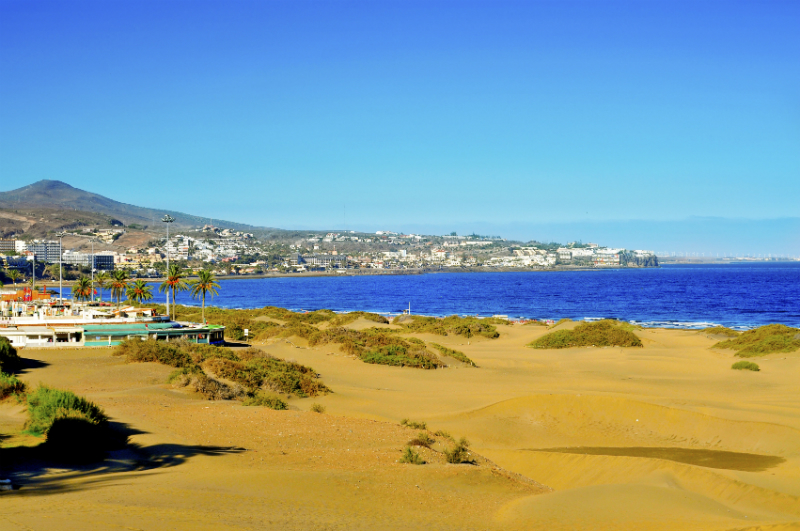 However, there is much more to Maspalomas holidays than sun, sea and sangria. The resort is home to a wide range of activities that help ensure people keep booking package holidays to Maspalomas year after year. Covering more than 20 acres, Palmitos Park is a zoo and botanical gardens located in the hills a few miles north of Maspalomas. It’s home to over 200 different species of birds, many types of primates, and has a large aquarium stocked with exotic fish from all four corners of the world. By the far the biggest attraction, though, is the Dolphinarium. At least twice daily, five bottle-nosed dolphins perform tricks in front of as many as 1,500 spectators. Afterwards there are photo opportunities with the stars, and even a chance to get in the pool and have a swim with them. Located to the north of the resort, this open-air entertainment complex features rides and activities for all the family. Open daily from 6pm until midnight, it provides a great way to unwind by enjoying a few thrills after a day on the beach. Among the funfair’s attractions are a big wheel that scales 27 metres, a modest rollercoaster and a parrot show. While the park caters well for children, there is much in the way of entertainment for adults with two nightclubs, a bowling alley and a gym. 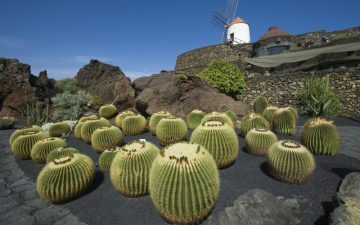 Maspalomas is surrounded by small mountain ranges and off-road pathways. Of course, they can also be explored on foot, but why use two legs when you can use four? Due to its climate, horseback riding tours are available all year round and they provide a fantastic alternative way of seeing parts of the island. Even if you have never ridden before it’s a great experience, as two guides give your party all the help you need, and provide you with an insight into the history of the region. No holiday to Maspalomas can be complete without spending some time at the world famous sand dunes. Now protected as a nature park, they cover more than 400 hectares and have a very desert-like feel. You can take a long walk through them to the beach, but the best way across them is riding a camel. What better way is there to unwind than watching a movie in the moonlight? The outdoor cinema can be found at the upmarket Faro de Maspalomas region to the west of the resort, and has regular screenings in English. The place has an extremely friendly atmosphere and its one of the few places where you can enjoy a full meal and a bottle of wine while you watch the latest hits from Hollywood’s finest. The lighthouse at the far end of Maspalomas dominates the local skyline, and is great for picture opportunities. Close by there is a palm tree-lined promenade for a pleasant walk on around dusk, while a number of designer boutiques are to be found on the main high street. If dancing is your thing, then there are a number of gay/mixed bars at the Yumbo Centre to the east of the resort, while the Kasbah Centre in nearby Playa des Ingles caters more to singles and those on 18/30s holidays. Those of you who like to do all your shopping in one place should take a trip to the Atlantico Mall in Vecindario. It’s only around 15 minutes away from Maspalomas by car and has dozens of leading stores all under one roof. 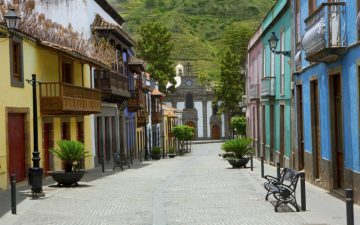 Also worth a visit are the resorts of Puerto Rico and Puerto de Mogan to the east. Both are relatively small, but have good sandy beaches, plenty of eateries and a number of shops. 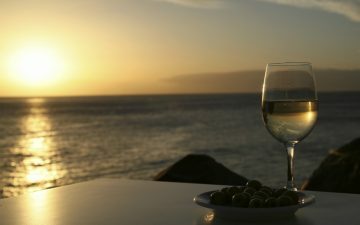 A glass-bottom ferry operates between the two towns, while adventurous types can enjoy a booze cruise on a pirate ship from Puerto Rico, or a journey under the sea in a yellow submarine from the harbour in Puerto de Mogan.